Ataxia-telangiectasia (AT), or Louis-Bar syndrome, is a multisystem disorder with serious health implications, the most important being an increased risk for malignancies. It is among the most common causes of unsteadiness (ataxia) in children. Prominent blood vessels that appear over the whites of the eyes are a common eye manifestation but these have no impact on vision. Such vessels also appear on the cheeks, the ears, and the forearms, although usually after the onset of neurological symptoms. Far more serious are other associated manifestations such as sensitivity to ionizing radiation (such as X-rays), excessive breakage of chromosomes, a deficiency in the immune system, and risks of cancer. Cancers of the blood such as leukemia and lymphoma are the most common but breast cancer risk is also increased. Infections are common, especially of the respiratory system. Although somewhat controversial, the majority of studies seem to confirm an increased risk of cancer, especially of the breast, among close relatives of patients with ataxia-telangiectasia. This has led to the suggestion that routine mammograms and other diagnostic X-rays should be used cautiously. Many patients have progressive neurological disease including unsteadiness beginning before the age of 4 years, recent memory loss, slurred speech, loss of muscle mass and weakness, and writhing, purposeless movements especially of the arms and hands. It is not uncommon for patients to lose the ability to stand and walk in the second or third decade of life and overall longevity is shortened. 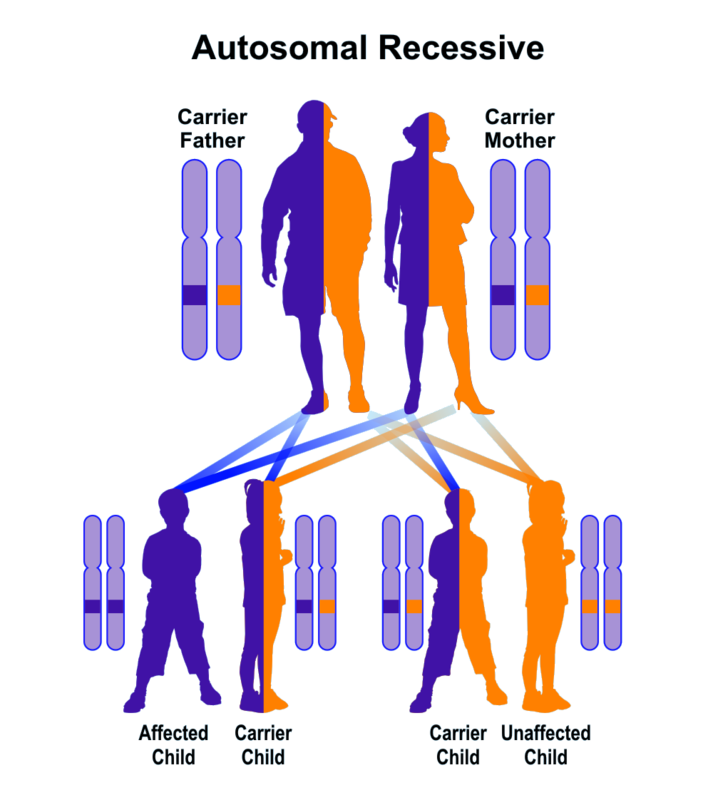 This is an autosomal recessive disorder, i.e., two gene mutations, one from each parent, are required for this disorder to occur. Carrier parents can expect a risk of 25% that each of their offspring will be affected. Patients require lifelong care and monitoring. No special eye care is required. Children with unsteadiness should be evaluated by a neurologist and pediatricians are needed for systemic evaluations for signs of ataxia-telangiectasia. Infections, especially those of the respiratory tract, must be treated promptly. Most patients succumb to their disease by the third or fourth decades.